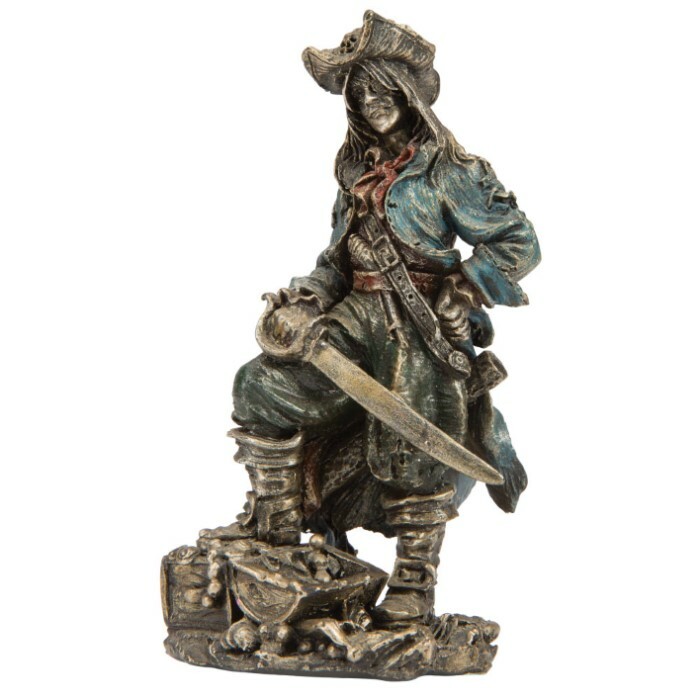 Pirate Captain Figurine - 12-Piece Set | BUDK.com - Knives & Swords At The Lowest Prices! A jaunty pirate captain with his cutlass drawn poses proudly with his chest of treasure. 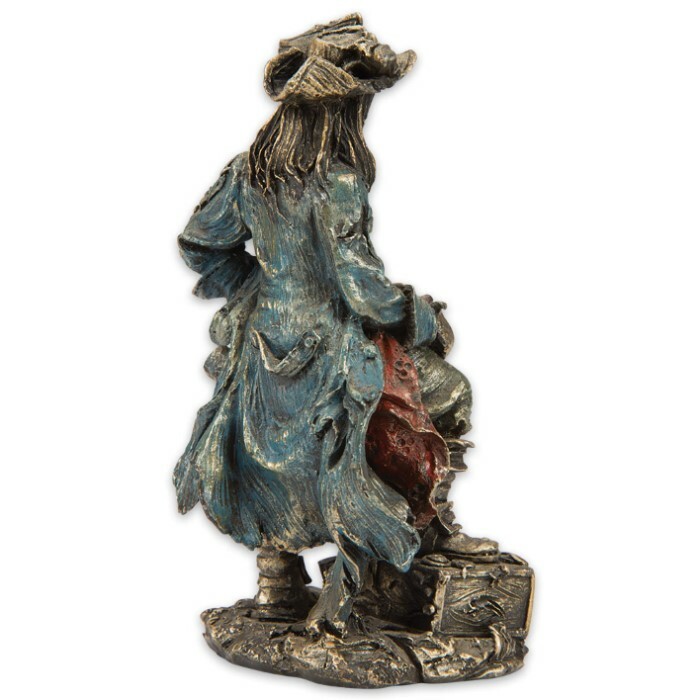 Expertly sculpted in resin, this high-quality collectible figurine has intricate, handpainted details. Fine quality and original design make our home decor collection stand above all others! 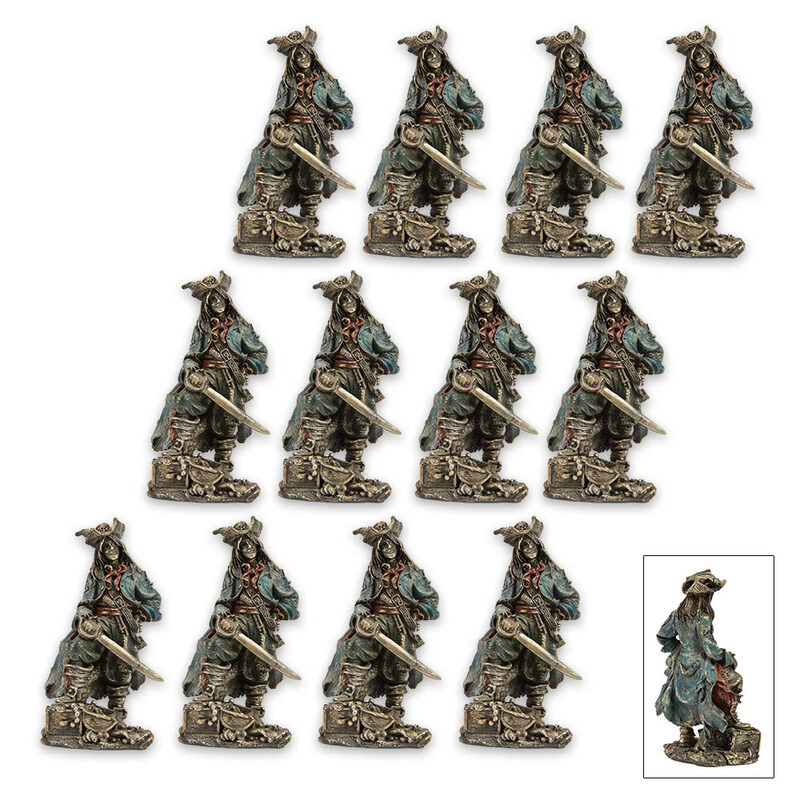 This is a set of 12 pieces.